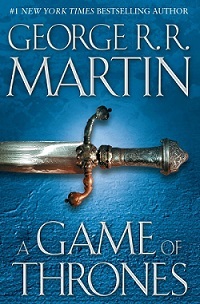 A Game of Thrones by George R. R. Martin is a radical piece of fiction in more recent times. The novel is eminent for its many characters, deep storyline, and combination of complex themes, including war, politics, corruption, sexuality, women, social hierarchy, and crime and punishment. The grim tale is focused on a civil war between noble houses for the Iron Throne of The Seven Kingdoms. The narrative shifts between different points of view while balancing on simultaneous plotlines. A Game of Thrones is noteworthy for keeping some traditional elements like magic non-existent within its fictional universe, all the while killing off numerous characters, adding a degree of realism. The book has been praised for popularizing the fantasy genre while avoiding too many of the clichés associated with. Some minor criticism was directed at the story which can become “daft, unsophisticated, and cartoonish” at times. The book series has sold over 15 million copies worldwide as of 2011, and that figure is rising. A Game of Thrones has been adapted into an on-going television series.